One thing that I have never learned to do well is cut an apple. I assumed it would be in the handbook they gave me when I came home from the hospital with Carter, but alas it was not. But then one day it dawned on me. Why don’t I just cut an apple kind of like I cut a mango? 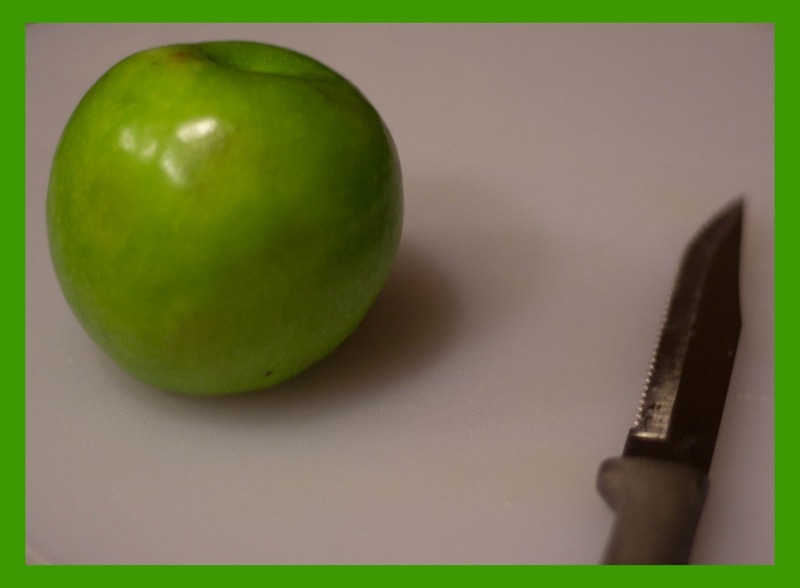 Sit the apple upright and cut off four sides, leaving all the seed and core in one square piece! Then you can just slice up the pieces and wah-lah! Pretty apple slices! And best part? Super easy clean-up! Thats the same way I do it! Have you seen an aussie apple? Pretty neat way to send an apple to school without it changing color. Okay, I totally use an apple corer and don’t actually have to cut anything. Just slide the thing down and voila! Done. But I love green apples and so I dig your pictures! I’m a horrible apple cutter so I bought an apple corer, it’s the best invention ever…ok, so maybe not ever,but it is pretty cool!